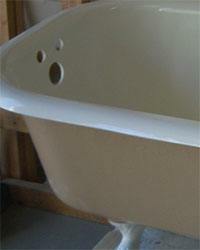 Home » Blog » Is Bathtub Refinishing a Good Alternative to Buying a New Bathtub? Maybe you just bought an older home and you hate the Pepto Bismol pink tub that was left as a relic of the home’s history. 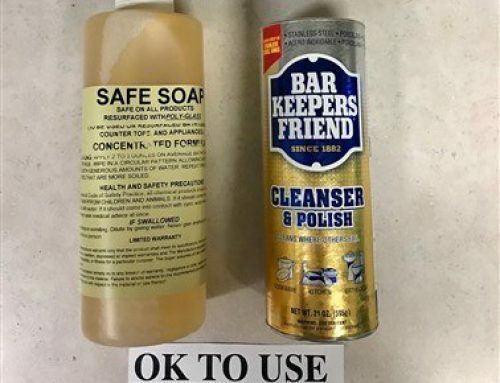 Or maybe you have been living in your home for so long that you’re starting to notice cracks in your tub or stains that won’t come out even with your most vigorous scrubbing. Or maybe you just don’t like the look of the tub in your home. 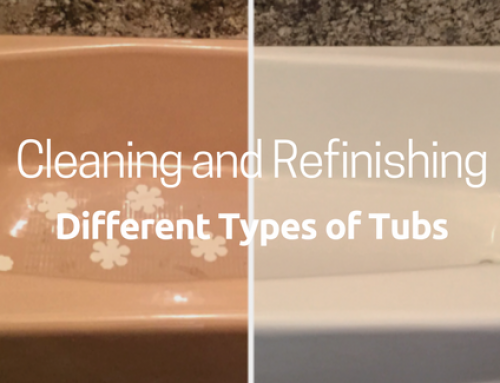 You have two choices: Replace the old tub with a new one or have the tub refinished. There are pros and cons to each option, so which is better? Generally speaking, there are many more advantages to bathtub refinishing in Mesa, AZ than to replacing the bathtub. 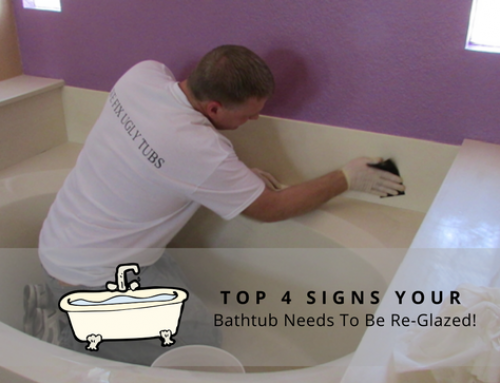 The exception would be if you want a completely different style of tub or if the tub is so damaged that simple bathtub repair won’t be enough. When you first look at the cost of bathtub refinishing and compare it to the cost of a bathtub replacement, you might think it’s about the same. You can have the bathtub and shower refinishing in Mesa performed for as little as a few hundred dollars, and you can buy a new bathtub and shower unit for as little as a few hundred dollars. Therefore, you might think to yourself that you should just spring for the new tub. 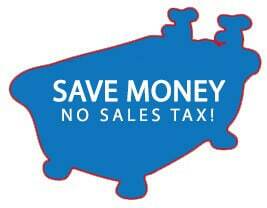 It’s about the same cost, so shouldn’t you just get the new tub? In reality, the two are not about the same. Maybe the cost of the bathtub itself is about the same as the refinishing process, but the cost of the total replacement will be much more. Bathtub replacement includes cutting the old tub out of its location, unhooking the fixtures and plumbing, potentially demolishing walls or tile around the tub, and then repairing the floors, wiles, or tile around the tub, putting in the new tub, replacing the fixtures, and hooking everything back up. You can spend well over $2,000 to $3,000 by the time all is said and done. You’ll spend a lot less money on bathtub refinishing, and the process will last just as long as a new tub – so long as you have the refinishing performed by a professional and don’t try to do it yourself. Getting a new tub isn’t like getting a new couch. You can’t just lift the old tub out of the bathroom and put the new one in. Have you really looked at the size of your tub? It’s not likely to fit easily out of the doorway. Even if it could, its length would definitely make it hard to maneuver out the door and down the hallway. If you have a bathtub and shower unit, those high walls are going to make it even harder. Many times, tubs have to be cut out of place. The walls have to be cut or broken down. The tile on the walls or the floors may need to be broken off around the tub. The fixtures and/or plumbing may need to be replaced. It’s a very destructive process. In contrast, Mesa bathtub refinishing just requires that the bathroom be taped and masked so that the spray doesn’t get on things it shouldn’t be on. Sanding or acid is used to clean and etch the tub, but proper ventilation is the only thing needed to accommodate these chemicals. 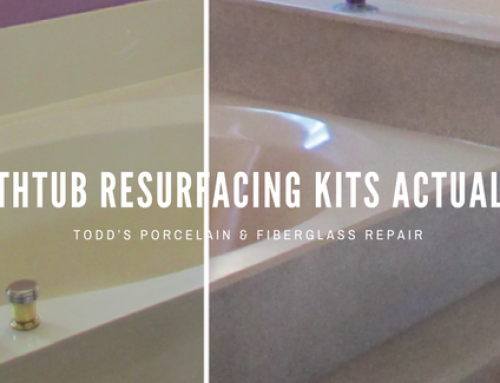 The labor intensive process of replacing a tub takes more time than bathtub repair and refinishing. Not only do you have to do all the above to get the tub out of the bathroom, but you will likely have to repair the floors, repair the walls, replace tile, repair plumbing fixtures, and more. So it’s a whole process of taking down and then building back up the space. 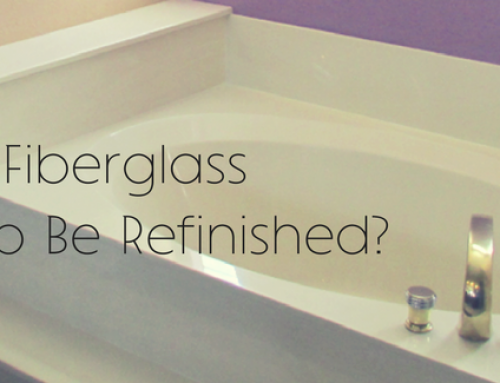 Bathtub refinishing in Mesa can be completed in a few hours, and the tub can be ready to use 24 hours after that. The whole process can be completed in just a little more than a day, which minimizes the downtime for the tub and the bathroom. There are occasions where buying a new bathtub might be the best option for your home, but in many cases, bathtub refinishing is the better option. It’s cheaper, faster, and less labor intensive, and it will last just as long as a new tub when performed by a professional. 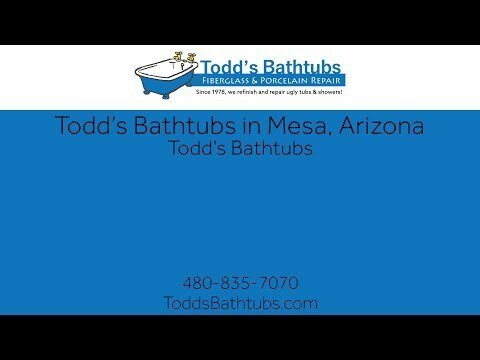 Todd’s Bathtubs performs bathtub and shower refinishing in Arizona. Our professionals will perform the needed bathtub repair and then coat the tub and surround with new glaze, making the tub look like new. 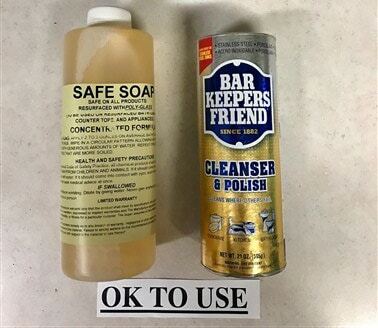 We properly prepare and finish the tub so that the surface lasts for decades to come. 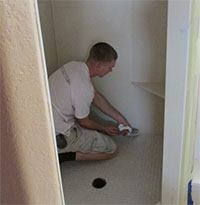 Contact us in Arizona to learn more about our process or to get an estimate for your bathroom.